A pair of large felt eyes will greet you as you enter any doorway! 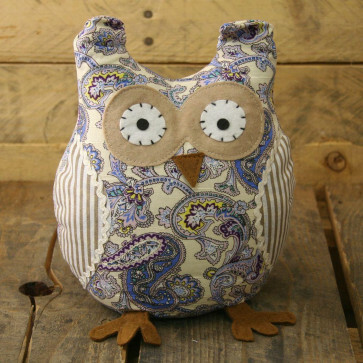 Perfect for any owl lover, this gorgeous owl doorstop will fit in anywhere around the home. Paisley is well known and this blue paisley is mixed with yellows, lilacs and purples that produce a unique design.